This is a beautiful story. These days, it's getting tougher to find books that not only boast of a good plot, but are actually written well. Kay uses lyrical language to the point where I stopped the iPod several times to simply gawk. Some of the metaphors, sentences and descriptions are--in a word--breathtaking. The fights are brutal, the characters are vivid in the extreme, and the themes of redemption, spiritual reality and loyalty ring like hammers off an anvil of solid prose. Having this book in your library is, to quote the author, "needful as night's end." Kay is one of the best. 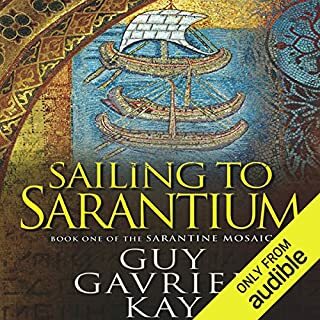 Taking place in the same world as Al Rassan and the Sarantium Mosaic, the locale of this story is far north of there and a few hundred years later. 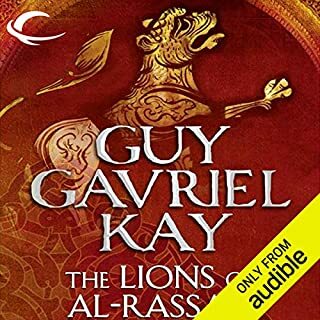 A different narrator than the other Kay books I've listened to lured me to try this one in audio format. It was a good decision. 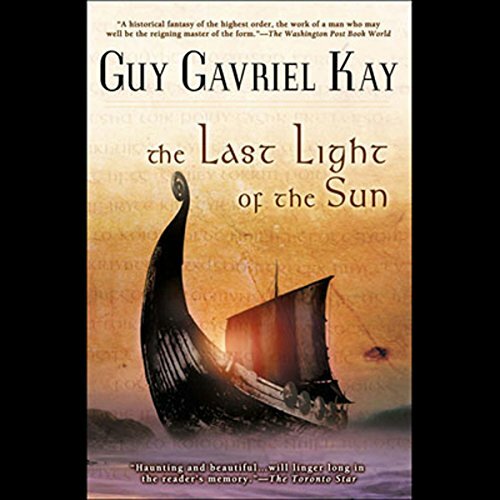 As in all of Kay's books, there are several points of view and this time it seemed easier to follow than some of his other books. The picture he paints of the land and the characters is vivid and moving. The land is undergoing changes and the raids of the Ehrlings (read Vikings) up on the Anglcan (read English) are no longer as easy as they used to be. 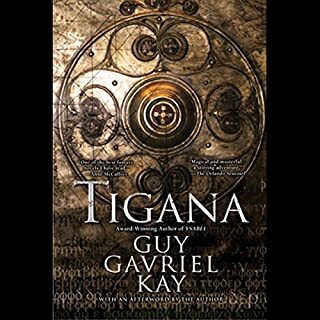 He follows the struggles of Alun ab Owyn, Bern Thorkellson and his father Thorkel Alannson, King Aeldred and his children, and the priest Cenion as they attempt to deal with honor and loss, cultural and religious changes, and love. There is more magic in this book than in the others I've read. Faeries and other supernatural creatures populate the landscape while the religion of Jad harshly punishes those who are able to see and communicate with the Fey. There is some extremely gory torture and killing that is hard to read about or listen to, but I'm sure it's historically accurate. All in all, a very enjoyable book. Bardic. Mythological. Philosophical. Musing. Heroic. Masterful storytelling. Simply...... beautiful. I find it difficult to say more. A wonderful, terrifying and yet magical world wrapped in a engaging story of one long summer. It kept the earphones glued to my head for a whole weekend. The narration does the book justice; the characters and the storyline come fully alive. Well worth your credit! I bumped into this book looking for a Holter Graham narroration. It is not my usual type of literature, but I am really glad I took the chance! This is a "saga" that I did not want to end. Creative, human, and entertaining. Highly recommended! Of course, Holter Graham was wonderful to listen to. I stumbled onto this story because of Holter Graham, whom I now believe to be a present day Cyngael. 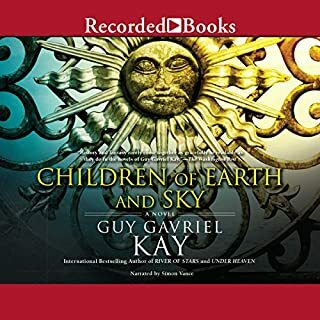 A convergent story-line is difficult at best, but Guy Gavriel Kay weaves a mystical reality and brings it home with honest characters. The end result is a magical story that is as elegant and beautiful as Celtic knot. How you feel about a narrator is a very personal thing, and I realize that some folks probably find Holter Graham very acceptable as a narrator. Yet another beautiful story from Kay. 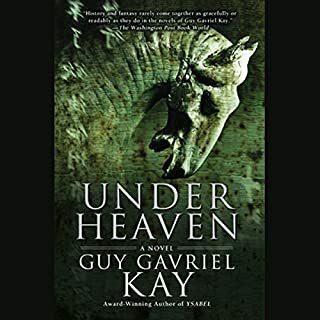 He weaves a number of interesting characters together in a fascinating story with a deft hand that one who is familiar with Kay has come to expect. I thought the narration was perfectly suited to the story and was very impressed. This is one of Kay's histories set in fantastic. Story of the celts, welsh, Vikings when they fought for their world. As usual very strong women amongst strong men. Wonderful read. 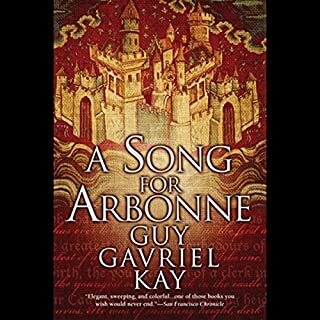 If you like GGK then this is another involving story with great characters and fantastic writing. The interweaving of the main characters' arcs and the occasional one off perspectives demonstrate his skill in making you believe in these people and this world. Well worth a credit.